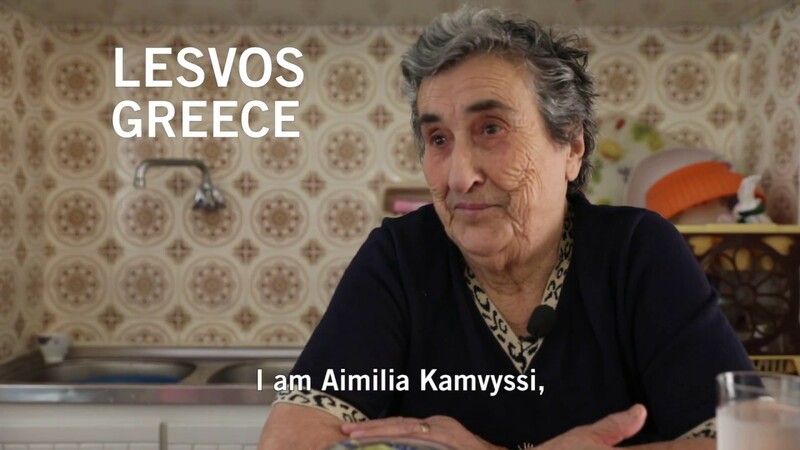 Aimilia Kamvysi is a grandmother from Lesvos island in Greece. She and her friends became the embodiment of solidarity when a picture of them feeding the baby of Syrian refugees went viral in 2015. Her village has welcomed refugees arriving by boat for many years. She says that even when they had nothing else to give, they gave people love, and courage.